How to boost your immune system during yoga teacher training in Koh Phangan? Lack of physical activity stands to be the major cause of excess accumulation of toxins and extra weight. Our body has been naturally designed to shed off dirty toxins and extra weight. With a body detox, one can help his or her body do that. A thorough body cleansing helps in energy improvement, clearing of the skin to be smoother and clearer, and digestion improvement. But do you really need to drink only lemon water or starve yourself just to achieve this? Well, there are some things you can slot into your everyday activities to aid you in cleansing your body. Below are some of the tips you can try for 3 or more weeks instead of starving yourself. Consuming less processed foods and gluten or total abstinence is a perfect choice. Research carried out led to the discovery that processed foods lack enough nutrients, leaving consumers with unnatural stuff to consume/eat. These foods, including gluten, bring about slow metabolism and the building up of toxins in the body. There’s a recent discovery that green grapes contain a whole lot of body cleansing qualities. Taking them in moderate can help you in drawing out dirty toxins from all of your organs. Green grapes contain fiber in abundance, so, it’s advisable to hydrate your body regularly too during the body cleansing process. Stretching is an action that will facilitate your body cleansing efforts. The fact about stretching is that it allows the movement of oxygenated blood into every nook and cranny of your body. The movement of oxygenated blood aids in taking out toxins with it. Remember to hydrate your body while doing this. 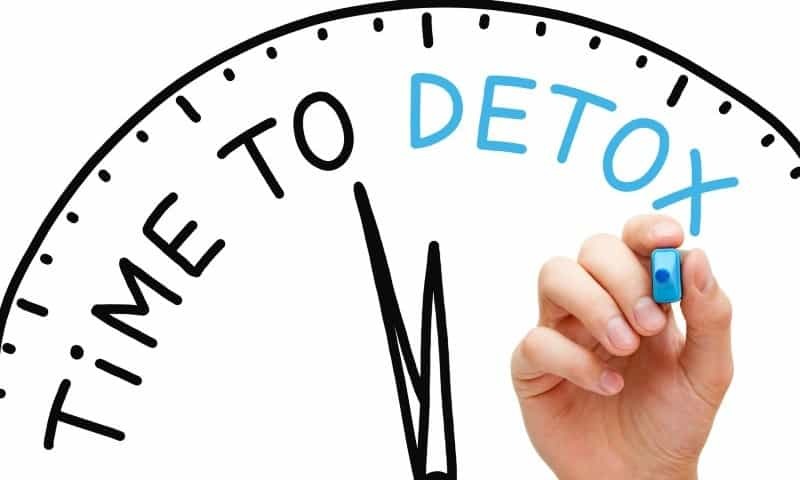 Deep breaths sound odd, but it’s a true, effective, and natural way to do a body detox without getting yourself starved. We are guilty of underestimating the cleansing ability of deep breaths, and we often forget to breathe deeply. Taking deep and conscious breaths at least eight times every morning helps in thorough body cleansing and invigorating. This should be the first thing to do every morning. After this, drink a moderate quantity of water. It is certain that debris and specks of dirt will be removed from your organs but your inability to properly eliminate them could cause your efforts to be wasted. So, in order to avoid causing more harm to yourself, it’s advisable to have at least 2 bowel movements every day. 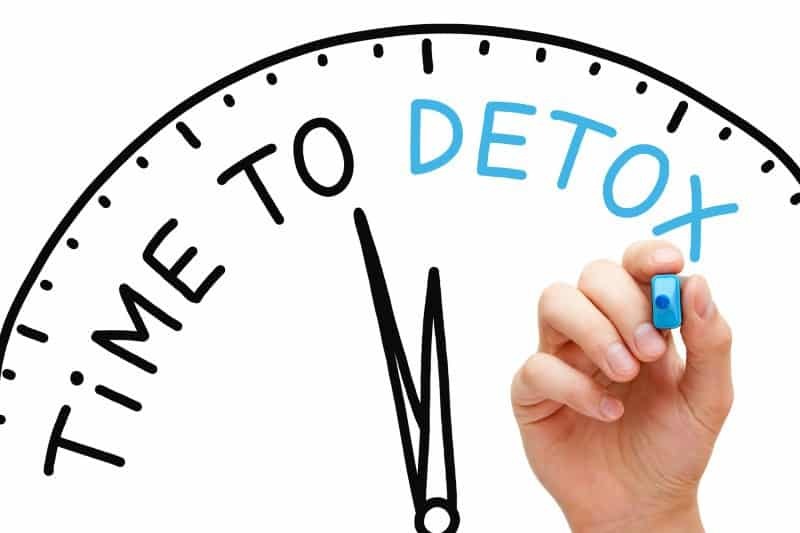 This is the right path in the body detoxification process. If you are finding this hard to do, you may deem fit to use mild herbal supplements. The mild supplements include Cascara Sagrada, Triphala, or Magnesium. Make sure you hydrate yourself regularly.